Singaporean concert pianist Ning Hui See has prepared for us a program of virtuosic works of classical and contemporary music with a Schumann-esque twist. “I tried to compose something for Robert, and lo and behold, it worked!" 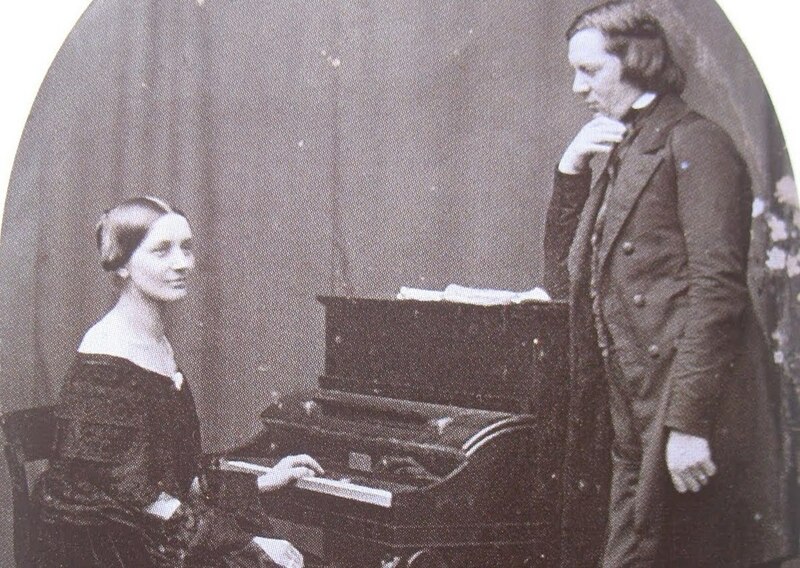 Tinged with tragedy, the story of Clara and Robert Schumann is one of the great romances of classical music. A child prodigy on the piano, Clara Wieck was already touring Europe by the age of 11. She fell in love with Robert, a pupil of her father, at the age of just 15, and by 18, against the wishes of her father, she was engaged. Clara and Robert fought a long battle, including in the courts, to overcome her father's opposition to their marriage, which finally took place in 1840. It was a true musical courtship - they studied counterpoint and fugue daily together! The first two movements of her Sonata in G Minor were presented to Robert as a Christmas gift in 1841. Ning Hui See will perform this rarely-heard work in its entirety for us, along with Robert's own Sonata No. 2 in G Minor, which he wrote slowly for Clara to perform while they were still courting. "I am enormously excited with the idea of your Second Sonata; it reminds me of so many happy as well as painful hours. I love it, as I do you." From this pair of Shumann's, Ning Hui looks back to Baroque sonatas by Domenico Scarlatti and forward to two of Korean composer Unsuk Chin's notoriously difficult piano Etudes. Acclaimed as one of the great contemporary composers, Unsuk Chin holds a unique place among prominent composers who have established powerful individual voices at the start of a new century: balanced between East and West, possibly transcending both. Her music stands out from the crowd for its freedom and individuality. Ning Hui See is a pianist from Singapore recognised for her “sense of poetry” (Lianhe Zaobao), “a refined touch … and an all-rounded musical personality” (The Straits Times). Born in 1996, she began her musical studies at the age of five. Currently based in London, Ning Hui is pursuing a Master of Music at the Royal College of Music with John Byrne and Dmitri Alexeev as a Charles Napper Scholar supported by a Hilda Houssart Award, a St Marylebone Educational Foundation Grant and the prestigious MMSF Mark James Piano Award. She entered the RCM at the age of sixteen as a Gylla Godwin Scholar and received a Bachelor of Music (Hons) with First Class. 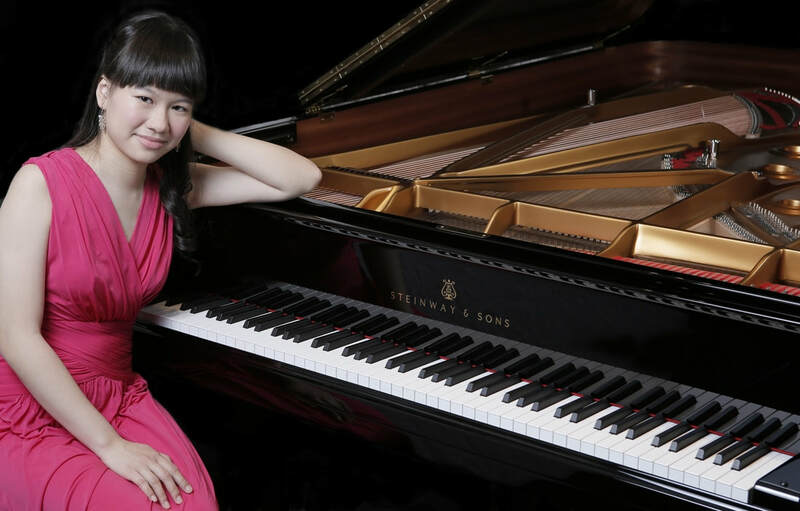 Ning Hui has given recitals throughout the UK at the Steinway Hall, Regent Hall, St. Martin-in-the-Fields, Victoria & Albert Museum, Leighton House Museum, the Pallant House Gallery, the Wells Cathedral School and the Yehudi Menuhin School. Additional concerts have brought her to Padua and Venice in Italy, the Harris Hall at Aspen, Colorado, and a performance of the Grieg Piano Concerto with the Orchestra di Padova e del Veneto. Her homecoming recitals at the Esplanade Recital Studio in Singapore were praised for the potential, individualism and maturity she possesses as a musician. In Singapore, Ning Hui trained with Fang Yuan at the Nanyang Academy of Fine Arts (Special Young Talents) and the acclaimed pianist Albert Tiu. She has worked in masterclasses with esteemed artists such as Barry Douglas, Leslie Howard and Sofya Gulyak. She has studied with Arie Vardi and Yoheved Kaplinsky at the Aspen Music Festival, as well as Nelita True and Peter Donohoe at the Chetham’s Summer School. A laureate of numerous international competitions, Ning Hui has won top prizes at the "Citta di Padova" Competition in Italy, the Cesar Franck Piano Competition in Belgium and the Singapore International Festival of Music Competition. She was a 2014 BBC Young Musician keyboard finalist and the 2014 Sevenoaks Young Musician. As the Grand Prize Winner at the 2012 Singapore Steinway Youth Competition, she represented the country at the Asia Pacific Finals. Ning Hui received the Esther Fisher Prize from the RCM, where her performances at the finals of the college's top competitions - the Chappell Medal, Schumann and Concerto Competitions - were highly-commended. Her performances have been featured on BBC Four, BBC Radio 3 and Symphony 92.4FM. Besides her solo engagements, Ning Hui is a passionate chamber musician and music teacher. She enjoys composition and research, possessing a particular interest in the interrelationship between historical events and musical developments. She is a Concordia Artist and Talent Unlimited Artist. Some of her upcoming engagements include recitals in London, Chichester and Singapore, and more details can be found on www.ninghuisee.com. "...a firm grasp of symphonic thought, matched by a feather-like touch and delicious rubato".